Researchers from the Perelman School of Medicine at the University of Pennsylvania found that patients taking prescription potassium supplements together with loop diuretics for heart failure have better survival rates than patients taking diuretics without the potassium. The degree of benefit increases with higher diuretic doses. The team, including senior author Sean Hennessy, PharmD, PhD, associate professor of epidemiology in Penn’s Center for Clinical Epidemiology and Biostatistics (CCEB), report their findings in a study published online July 16th 2014 in PLoS ONE. A release from the university notes that loop diuretics—one type of diuretic or “water pill” named after the part of the kidney it acts on—are commonly used in the treatment of heart failure (and associated lower-limb edema or swelling) to help push out extra fluid that can accumulate when the heart is not working properly. But they also flush out needed potassium, causing many doctors, but not all, to prescribe the supplements. However, its survival benefit has never been studied, and because of this lack of evidence, there is controversy about whether potassium should be prescribed to all patients receiving loop diuretics. In a retrospective study, the researchers examined existing health care data from Medicaid between 1999 and 2007 to study approximately 180,000 new starters of loop diuretics who were prescribed supplemental potassium and an equal number of people who started a loop diuretic without the potassium supplement. The researchers found that in patients receiving at least 40 mg/day of furosemide (one form of loop diuretic), adding supplemental potassium appeared to reduce mortality by 16 percent, a large and statistically significant reduction. 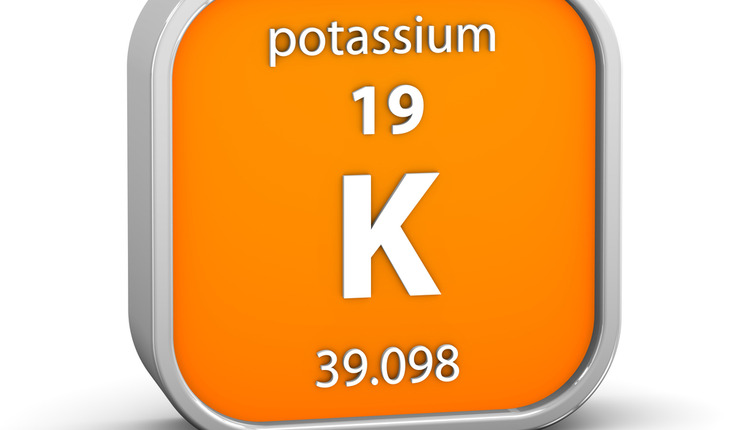 The use of potassium supplementation under investigation was preventive, as opposed to being prescribed to patients who already had measured reductions in potassium. Only patients receiving supplemental potassium in solid, not liquid form, were studied, the latter possibly being indicative of an inability to swallow and therefore a marker for a possibly complicating corollary medical impairment. Loop diuretics act at the ascending loop of Henle in the kidney and help the body push out extra fluid that could accumulate in the lungs or legs and ankles when the heart is unable to completely pump blood throughout the body. But they may also cause the body to eliminate excessive amounts of potassium, which might be expected to increase mortality from heart arrhythmias. As a precaution therefore, many doctors prescribe potassium supplements to their patients receiving loop diuretics. These results appear to support the common (but not universal) practice of using potassium together with loop diuretics. Today, nearly 5.8 million Americans suffer from heart failure. In addition to Leonard and Hennessy, other Penn authors are Hanieh Razzaghi, Cristin P. Freeman, Jason A. Roy, and Craig W. Newcomb. The research was supported by RC1AG035751 and R01AG025152 from the National Institute on Aging, R01DK102694 from the National Institute of Diabetes and Kidney Diseases, and UL1TR000003 from the National Center for Advancing Translational Sciences.